A preparatory engine flush for use with Power Cool 180°. Formulated to hygroscopically absorb water, whilst removing loose dirt and scale from your cooling system. Before filling your system with Evans Waterless Coolant it should be as free from water as possible. Evans Prep Fluid hygroscopically absorbs any residual water remaining in the system after draining. 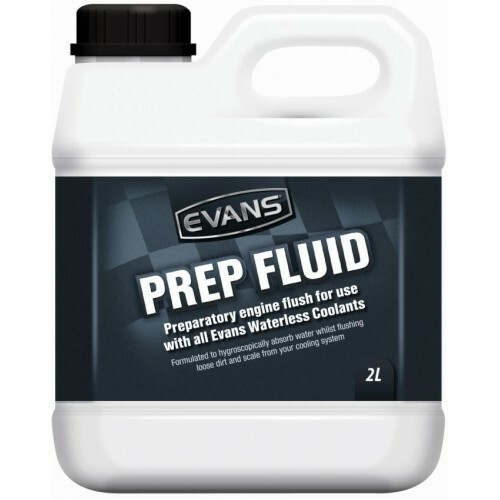 Evans Prep Fluid actively removes the loose dirt and scale from your cooling system which can cause inefficient heat transfer.